Big Bang Ferrari ÂŤCarbon Red MagicÂť. UNICO column-wheel chronograph movement, 72-hour power reserve. Entirely manufactured by Hublot. Carbon fiber case with red crystal and sapphire dial. Rubber strap and black leather, interchangeable by a unique attachment. Limited edition of 1,000 pieces. ELEGANCE HAS MORE THAN ONE LOOK Passionate, Playful, mysterious. these are all female emotions that make each of us the individual we are. now, there is one watch that lets you exPress your different moods Perfectly. the chic, stylish and glamorous crazy carats watch is as defiant as you thanks to its beautiful multi-color gem choices that grace the dial according to your own Personal selection. exPressly made for women who dream of transforming time to suit their needs, crazy carats brings drama and flair to the wrist. why settle for one look when you have many moods? MONTBL ANC TIME WALKER CHR ONOVOYAGER UTC A second time zone synchronised with Universal Time Coordinated (UTC) makes this self-winding chronograph the perfect companion for all frequent travellers. Its robust 43-mm-diameter stainless steel case with satin-finished bezel and push-pieces unites elegant design and the traditional art of watchmaking. This chronograph features a second time zone with day/night indication displayed by 24 hours on the flange, a date display, a central second-hand as well as two additional counters for up to 30 elapsed minutes and maximally 12 elapsed hours. The TimeWalker ChronoVoyager UTC is crafted in the Montblanc Manufacture in Le Locle, Switzerland. .. .. .. .. .. .. .. .. .. .. .. .. .. ... .. .. .. I admit it: Vacation equals shopping to me. No matter where my travels take me, I will find something to buy. Whether it’s local handicrafts, street art, or clothing and jewelry, I will convince myself that I can only find it right here, right now. My shopping addiction has created multiple cases of buyer’s remorse, such as the one too many pairs of espadrilles from Spain; a handmade hammock from Colombia that is sitting balled up in a hallway closet; or the multiple Matryoshka dolls from St. Petersburg that are now in storage due to a very curious toddler who puts everything in her mouth. But then on the flip side are the purchases I would buy over and over again and that still put a smile on my face: the wedding bands my husband and I acquired in the Azores, a gorgeous gemstone bracelet from St. Thomas, and bottles of handmade rose hand lotion from Big Sur, California. As my souvenir-magnet-covered fridge can attest, I adore traveling and the little buys made abroad are a big part of my vacation experience. For me, it’s often less about the object and more about the place, the people and the memory that purchase embodies. Our travels, the people we meet and the memories we make are what inspire us—and what inspired this issue. We talk to Philippe Cousteau, Jr., whose global travels and personal encounters motivate his work to protect our environment for future generations. Dwyane Wade and the Miami Heat are often on the road, but it’s Wade’s trips during his time off that influence his expressive personal style. We chat with trendsetters and industry insiders who share why they love traveling. And we’ve filled our pages with objects big and small, inspired by exotic animals, sun-filled islands and leisurely time at sea: a perfect opportunity to sample a new wine or browse the great buys onboard or in port. Wherever your cruise takes you and whatever you choose to take back home with you—be it a pair of diamond studs, a bottle of island rum or a simple memento—you will have cherished memories of trips with the ones you love that will remind you how great discovering our world is in the first place. Enjoy! them onboard instruments and timepieces on a par with their achievements. Boasting generous white superluminova-enhanced Arabic numerals, the Type 20 GMT exalts visibility and ensures precision thanks to a Zenith Elite 693 movement, while a dual-time display sets the crowning touch. DiSClAiM ANy liABiliTy FOR DAMAGES iNCuRRED DuE TO THE ATTENDANCE OR PARTiCiPATiON By READERS OF THiS PuBliCATiON iN ANy SuCH ACTiViTy OR ATTRACTiON, AND THE ATTENDANCE OR PARTiCiPATiON iN ANy SuCH ACTiViTy OR ATTRACTiON SHAll BE MADE SOlEly AT THE READER’S OWN RiSK. THE PORT SHOPPiNG PROGRAM iS OPERATED By ONBOARD MEDiA, iNC., AND MERCHANTS PARTiCiPATiNG iN THiS PROGRAM HAVE PAiD A PROMOTiONAl FEE TO ONBOARD MEDiA FOR iNCluSiON iN THiS PROGRAM. 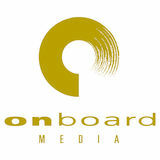 PRiNCESS CRuiSES RECEiVES A PROMOTiONAl FEE FROM ONBOARD MEDiA. WE AND OuR CONTENT PROViDERS (“WE”) HAVE TRiED TO MAKE THE iNFORMATiON iN THiS PuBliCATiON AS ACCuRATE AS POSSiBlE, BuT iT iS PROViDED “AS iS” AND WE ACCEPT NO RESPONSiBiliTy FOR ANy lOSS, iNJuRy OR iNCONVENiENCE SuSTAiNED By ANyONE RESulTiNG FROM THiS iNFORMATiON. Joseph’s work has appeared in Cosmopolitan, Brides and Easy Living magazines, and his clients include Marks & Spencer, Famous Footwear, Bali lingerie and Crabtree & Evelyn. Joe was also featured as the guest celebrity judge on Britain’s Next Top Model with Elle Macpherson. He splits his time between Miami, New York and London, but says he will always consider himself a New Yorker. Claudine’s work has appeared in The New York Times, Los Angeles Times, Vice, New York Post, Men’s Health and Interview. She coauthored clothing designer Kenneth Cole’s Awearness: Inspiring Stories About How To Make a Difference. She currently calls New York home. Born and raised in Brazil, Claudio worked as a marketing executive before becoming a photographer. His clients include Audi Magazine, ESPRIT, Jean Yves and HGTV. When he’s not shooting, you’ll find Claudio stand-up paddleboarding around Miami, sailing or kitesurfing. Katherine’s work can be seen in Palm Beach Illustrated, Naples Illustrated and Weddings Illustrated magazines. She has served as a style expert for events at Saks Fifth Avenue, Neiman Marcus and Bloomingdale’s and has recently launched KL Style Inc., a fashion consulting and styling business for private clients, companies and events. Jacquelynn has worked as the senior editor for Ocean Drive, Blender and Maxim magazines. Her writing has been featured in Paper, Elle and The New York Observer. She’s interviewed celebrities like Sean “Diddy” Combs, Céline Dion, Lindsay Lohan, Oliver Stone, Sylvester Stallone, Donald Trump and Wolfgang Puck. Jacquelynn is currently the editorial director at Miami Pop Media. Besides styling some of Hollywood’s most famous faces for red-carpet events like the Academy Awards and the Radio Music Awards, Melissa’s work has also appeared in magazines such as Time; Maxim; and O, The Oprah Magazine; and on Bravo TV, MTV, VH1 and the Travel Channel. Melissa also shares all her beauty and travel advice on her site, melissaconner.com. A very cute white summer dress purchased for my very pretty wife. They must be willing to eat anything, be amenable to forging an itinerary and then chucking those plans to the wind, and brilliant foreign-language skills. Being incredibly attractive is key, too. Le Beurre Bordier aux Algues, which is an amazingly rich butter, flecked with seaweed, that could only be purchased in a few select French shops. I was planning on enjoying it back home and smuggled it all the way to my layover in Montreal, where airport security confiscated it for being an oversize “cream.” I’ve held a grudge against the Canadians ever since. For kitesurfing in New Caledonia, it would be a couple of my long-time friends from Brazil; if I’m on vacation in Brazil, then family is my number-one pick; for a calm retreat in the Caribbean, I’ll go with my girlfriend. A stylized watercolor painting of a map of the British Virgin Islands bought on a small island directly from the artist. I love learning about new places and things, so my travel partner has to share that passion. They also need to be flexible and willing to venture off the beaten path. A gold serpent bracelet that I purchased in the South of France. My parents instilled an early love of travel in me by often making me miss school to fly off to exotic locales (It’s OK, I graduated with honors). So my ideal traveling companions would still be my parents and their adventurous spirit. I want to travel with someone who likes outdoor adventure, like zip-lining, kayaking and snorkeling. A beach blanket I picked up in St. Lucia that is the weight and size of a sarong, so it’s easy to pack. I use it constantly. I like buying things, often with a culinary bent, that will remind me of a particular trip. On a vacation to Japan, I bought handcrafted plates and bowls that I use when serving homemade Japanese meals. Whether he’s rocking polka-dot manpris (capris for men) or shooting layups to help lead his team to the NBA Championship, Dwyane Wade turns heads both on and off the court. The longtime Miami Heat star has evolved and matured greatly from his rookie season back in 2003. Back then, he was a raw, gifted player whose half-court prowess was tempered by a shy persona. Now, Wade may get to flash his championship rings (plus an Olympic Gold medal in 2008)—and have the media at his feet—but in his off-court time, he’d rather focus on his charitable endeavors and being a great dad. D-Wade: his sartorial sense. The fashionable b-baller was named the NBA’s Best Dressed Player in a poll conducted by Sports Illustrated. He explains that his style icon is James Bond with his signature tailored suits. Wade has also been greatly influenced by global travels, most specifically to Milan, Italy, where he attended Fashion Week. “I was introduced to the trend of a higher hemline on pants,” he says of his visit. “Since then, I have incorporated that into my wardrobe. Every city I visit opens my eyes to the variety of ways clothes can be worn. My style now is more expansive. I try to incorporate a new silhouette, color, pattern or accessory into my wardrobe every season.” He’ll alternate Louis Vuitton, Givenchy and Dolce & Gabanna clothing with one constant accessory—a Hublot watch. As an ambassador for the luxury watchmaker Hublot, Dwyane Wade traveled to Beijing’s Forbidden City for a charitable challenge where every basket scored raised money for the One Foundation—an organization whose platform includes focusing on children’s welfare—on behalf of Hublot and Wade’s World Foundation. Prime Time Wade was named the NBA’s Best Dressed Player by his basketball peers in a Sports Illustrated poll. Here he wears his favorite accessory, a Hublot miami Heat Limited edition watch. Clockwise from top: FoREVERmaRK Halo diamond earrings; HEaRTs on FiRE Comet pendant; CHopaRD diamond necklace from the Red Carpet Collection; Kabana Infinity ring; CRown oF LigHT diamond pendant from the Spark Collection. Oscar-winning actress Jennifer Lawrence dripped in delicate diamonds by Chopard at the 2013 Academy Awards, giving a red-carpet staple a refreshingly modern look. global cool Brad Pitt knows that the accessories make the outfit—even for men. Clockwise from top: davId yurman facetedmeteorite statement ring; han kjØBEnhavn for J.Crew tortoiseshell sunglasses; ZEnIth Pilot Montre d’Aéronef Type 20 watch; jOhn hardy small chain square bracelet; jOhn hardy dragon necklace from the Naga Collection. Pack It Up I like to pack light, so I choose items I feel comfortable wearing all the time, like my caftans, lightweight cotton tops and dresses, and loose cotton or silk pants. A comfy shoe for walking is essential, and I like a dressy sandal for night. I always take a versatile sweater and scarf to layer with in case it’s chilly on the flight. As far as jewelry goes, my wedding band and vintage Indian engagement ring never come off, so they go wherever I go. The Must-Haves Sunscreen, my favorite sunglasses, a bunch of good tote bags in case we find shells, coconuts, stones, or whatever else the kids discover. They love to bring little mementos home. And an absolute must is lots of wipes for the kids. Caribbean Dreams I am dreaming of fresh, grilled fish from a local beach hut with lime, some rice and beans, and a cold beer. I also love to browse the art and handi handicrafts, shells and all the great jewelry. What’s my favorite thing to purchase on vaca vacation? A return ticket! I love the entire Caribbean experience: the color of the sea, the lush islands, and seeing my kids enjoy the calm waters as if they were in a big bathtub. We’ve been to Puerto Rico, the Cayman Islands, St. Maarten, Turks and Caicos, and the Dominican Republic. I can’t wait to explore the rest. My Secret Weapon The one that keeps the peace: my iPad. The kids are entertained during the flight, so my husband and I have a moment to ourselves. Top right: Two New York studio; Monica’s vintage Indian engagement ring; in the studio with her caftans. Above: Monica and her kids vacationing in the Caribbean. Just Relax I am definitely happy to leave behind the hustle of New York City. Swimming in the clear Caribbean waters under the warm sun is the ultimate indulgence. STUDIO SHOTS: AIMee HeRRINg; BlUe & PINk CAfTAN: eDITION01.COM. Stylish globetrotter Monica Patel-Cohn has traveled the world styling for top fashion magazines, working at fashion mecca Barneys New York and for Prada in Milan. She now lives in Brooklyn, with her husband and two kids, and is the designer behind Two New York’s lust-worthy caftans. She tells us how she manages to look chic, stay comfortable and keep the peace when traveling with the family in tow. ÂŠ KABANA. All designs protected by copyright laws. All rights reserved. Reproduction/Duplication prohibited. Clockwise from center: camilla dress and one-piece bathing suit; Hublot Big Bang Zebra Bang watch; marco Bicego Murano Link Collection earrings with London-blue topaz; Elizabeth and James spotted calf-hair sling backpack; Rebecca minkoff pina leather sandal; J.crew calfskin belt; Roberto coin siberian tiger cuff. Go bold with exotic prints and animal-inspired jewelry. pair them with bright yellow, pink or turquoise for a modern take on the trend. The A m m o lite Mine Ask for the Korite certificate of authenticity as a guarantee of quality and craftsmanship. Clockwise from center: Oscar de la Renta Resort 2014 Collection; Hearts On Fire Lorelei bow stud earrings; Emily Post’s Etiquette, 18th Edition book; MacarOn Café macaroons, macaroncafe.com; Jonathan adler teapot; Cutler and Gross cat’s-eye sunglasses in strawberry; kate Spade teacup and saucer; Guerlain lipstick in Kiss Kiss Strass; kabana pink mother-of-pearl heart pendant; essie nail polish in Ballet Slippers. Femininity is always in style. Adorn yourself with delicate accessories as timeless as good manners. Clockwise from center: Adam lippes resort 2014 collection dress; Marc Jacobs Daisy fragrance; Mark Henry circle pendant necklace; Jonathan Adler Santorini alexandra a vase; Tabitha Simmons floral pump; Flowers hardcover book by carolyne roehm; liberty london orange print silk scarf; Crown of light gold ring set with chameleon diamond surrounded by white diamonds; Chopard Poppy ring from the red carpet collection. Vibrant florals and earthy hues take root this season, brightening up any wardrobe. When it comes to celebrity style for men—it’s all in the wrist. By Dorothy Cascerceri David beckham landing a deal with breitling as the face of its Transocean chronograph Unitime watch could be considered a dream job for someone with his passion for watches. he is an avid collector of Jacob & co. watches and purchased his first watch from the company’s founder Jacob arabo when the brand launched in the 1990s. beckham was one of the first customers to own the brand’s Global 3 watch, which features five time zones. beckham has also been spotted sporting a Rolex Sea-Dweller Deepsea watch and a custom chopard GT that his wife, Victoria beckham, reportedly gave him as a gift. In the song, “who Gon Stop me,” Jay-Z raps, “So many watches I need eight arms.” Jay-Z’s impressive watch collection is rumored to include a $5 million diamondencrusted hublot big bang watch. while we can’t confirm the hefty price tag, we do know he rocks a gold hublot classic Fusion in the music video for the song “otis.” Jay-Z also teamed up with audemars piguet to design a Royal oak offshore limited edition watch with his signature engraved on the back for his 10-year anniversary in the music business: only 100 watches were produced. once, during a performance at carnegie hall, Jay-Z rocked three watches in one night, starting with an audemars piguet Jules audemars Tourbillon chronograph, later switching to a Jaeger-lecoultre “Tribute to 1931” Reverso and ending with a Rolex Day-Date II. beckham: SplaSh NewS/NewScom; RIpeRT: ZSb weNN phoToS/NewScom; Jay-Z: aRF/ZoJ weNN phoToS/NewScom. fine choice Black or brown leather strap? Black or white dial? The list of styles and features available in the luxury-watch market grows by the minute. IWC Portofino Automatic The modern 40-millimeter case, housing three hands and a discreet date display, has evenly rounded sides which make it appear even slimmer. Available with a dark brown or black alligator leather strap. MONTBLANC Timewalker Twinfly Chronograph The twin-hand flyback function of the Montblanc manufacture caliber MB LL 100 allows the central chronograph and minute hand to fly back at the same time. Available in black or brown alligator leather strap with pin buckle. BREMONT Solo This modified caliber BE-36AE automatic chronometer has a 43-millimeter hardened stainless steel Trip-Tick® case with scratch-resistant sapphire crystal and an open case back. These tough timepieces stand up to competition both on and off the field. Arm cAndy Color outside the lines with trendy timepieces in vibrant hues. Watches from left: Fruitz Tutti Frutti, Fendi Round Selleria; PhiliP Stein Signature with croc-embossed leather band; gucci U-Play Collection. Metal Head Pile on bangles and bracelets in different tones and textures for an effortlessly cool look. Clockwise from top left: GuccI thin bamboo bracelets; alex and anI classic mixed charm bracelet; RobeRto coIn Primavera Collection bangles; John haRdy classic chain bracelets; chaRles kRypell I Love You 7 Days a Week bracelets. MANUFACTURERS OF HANDCRAFTED WATCHES, BICYCLES, LEATHER GOODS & JOURNALS. DETROIT, THE NEW WATCHMAKING CAPITAL OF AMERICA. Two cotton sari caftan, twonewyork.com; Letarte one-piece swimsuit, letarteswimwear. com; Kara by Kara Ross stacked bracelets, kararossny.com. Mara Hoffman cocoon cover-up, marahoffman.com; Letarte turquoise swimsuit, letarteswimwear.com. Opposite: J.Crew boyfriend button-down shirt, jcrew. com; Tory Burch print bikini, toryburch.com; Sequin braided leather and metal necklace, sequin-nyc.com; Friedrichâ&#x20AC;&#x2122;s Optik vintage-style sunglasses, friedrichsoptik.com. Theron went to Capitol Hill in 2013 to speak about fighting the AIDS epidemic. Right: Theron received a second Academy Award® nomination for her performance in North Country. Career Highlights The Devil’s Advocate (1997) The Hollywood newcomer managed to hold her own against big-screen heavyweights Al Pacino and Keanu Reeves. Her depiction of Mary Ann Lomax, a naive wife married to a young lawyer played by Reeves, is widely considered to be her breakout role. The Cider House Rules (1999) Theron got her first taste of Academy Awards® success when the film, costarring Tobey Maguire and Michael Caine, was nominated for several Oscars. The Legend of Bagger Vance (2000) Robert Redford directed this feel-good drama about a philosophical golf caddy in 1940s Savannah, Georgia, played by Will Smith. Theron mastered a Southern accent for her role of beautiful heiress Adele Invergordon. Sweet November (2001) Theron reunited with costar Keanu Reeves in this romantic drama set in San Francisco. The star lost weight to play the role of a dying woman who embarks on a one-month relationship with Reeves’ character. Young Adult (2011) Theron stars as Mavis Gary in this dark comedy about a woman returning to her childhood home who refuses to let go of who she was in high school. She earned a Golden Globe® nomination for her performance. Monster (2003) Theron won critical praise and an Oscar for her stunning physical transformation and gripping portrayal of prostitute turned serial killer Aileen Wuornos. Snow White and the Huntsman (2012) Playing Ravenna, the wicked stepmother, involved donning a British accent and stunning costumes in this beautifully shot, dark version of the famous fairy tale. She praised her cast mates Kristen Stewart and Chris Hemsworth, calling them incredible. The Italian Job (2003) Theron played Stella, a professional safe cracker, in this action-packed heist film with a memorable Mini Cooper car-chase scene through the streets of Los Angeles. North Country (2005) A second Best Actress Academy Award® nomination was received for Theron’s portrayal of Josey Aimes, a miner fighting against workplace sexual harassment. Mad Max (2014) Headlines were made before the film’s release when photos of Theron’s shaved head for the role of Imperator Furiosa first appeared. Theron became a mother herself in March 2012 when she adopted her son, Jackson, after a process she said took two painful, frustrating years. Her decision to adopt was one she actually made subconsciously at age eight, she says; she wrote a letter to her mom saying she wanted to adopt a baby from an orphanage. “I think back then it was more like I wanted to adopt a baby to be my sibling; but even at that age, I had this awareness of adoption, so this wasn’t a last-minute thought,” she said in Interview magazine. “It was something that was always under my skin, that I knew would be a part of my life; and, to be honest with you, when I decided to start filing, it was very clear.” Despite the long process, she says, she and her other “children”—her dogs, Denver and Delilah—were immediately smitten. Being a single parent hasn’t been easy, Theron admitted in an interview with US Weekly. But her mother, Gerda, lives near her in L.A. and is actively involved in Jackson’s life. Gerda played a formative role in Theron’s early years as well, which were nowhere near as glamorous as the life on the A-list she lives now. Growing up with an alcoholic father, Theron and her mother were always subject to abuse of some kind. Her mom shot and killed her father in front of 15-year-old Theron after he threatened murder. But the actress doesn’t seem to feel victimized by this; in fact, she’s adopted a positive attitude in spite of it. “I think I’ve gone through my life with the understanding that you’ve got to let go and you can’t think that you’re going to control your destiny,” she told Interview magazine. Theron at the 76th Annual Academy Awards, where she won an Oscar for Best Actress for her portrayal of Aileen Wuornos in Monster. FROM THE EDGE OF OUTER SPACE Felix Baumgartner became the first man to break the speed of sound in free fall, and the Zenith Stratos Flyback Striking 10th on his wrist (right) became the first watch to do so. Filmmaker JameS CamerON is the first person to complete a dive to the deepest part of the ocean solo. The dive was part of Deepsea Challenge, a joint scientific expedition by Cameron, the National Geographic Society and rolex to conduct deep-ocean research. In 1962, NASA purchased samples of commercially sold wristwatches to test their durability and performance on space missions. Beginning with the Apollo program, NASA selected the Omega Speedmaster Professional as the timepiece of choice for its astronauts. The astronauts used the wristwatch with its sturdy Velcro strap for both intra- and extra-vehicular activities, including moonwalks. During EVA (extra-vehicular activity), they secured the wristbands around the outside of their pressure suits. They used the chronograph or stopwatch feature to time their spacewalks and to monitor the minutes during other scientific chores. Many of the space-traveled Speedmasters are on view at the National Air and Space Museum in Washington, D.C. But you won’t find Buzz Aldrin’s on display. It was lost on the way to the Smithsonian: current whereabouts unknown. Another space-centric model, the Bulova Accutron, came out in the 1960s. The world’s first electronic watch, the Accutron was very popular with U.S. pilots during the Vietnam War. It was also used for time references in many satellites and to control some of the Apollo moon experiments. Famously worn by astronaut Scott Carpenter on the cover of Paris Match in 1962, the “Accutron Astronaut” was chosen by some of the “Original 7” astronauts for the first national manned journey into space. The Philip Stein Sleep Bracelet is a nighttime accessory engineered to help improve your quality of sleep. Our customers report benefits from falling asleep faster, to sleeping more deeply, and waking up more refreshed. Marilyn Monroe gave JFK a Rolex, engraved “Jack, with love as always from Marilyn, May 29th, 1962.” Richard Nixon gave the opening speech at the National Association of Watch and Clock Makers conference in 1955. As a thank-you gift, he received a Vulcain Cricket, widely acknowledged to be the first wristwatch with an alarm loud enough to wake someone up. ORIGINAL 7 Project Mercury astronauts (from left): Scott Carpenter, Gordon Cooper, John Glenn, Gus Grissom, Wally Schirra, Alan Shepard and Deke Slayton standing beside a Convair 106-B aircraft. ing choice mirrors the selection made by two explorers who broke the all-time human depth record when they reached this same spot—the deepest part of the ocean—in 1967. During their dive, another Rolex, this time a Deep Sea Special, was strapped to the sub. On both trips, the timepieces and their wearers returned intact. The Bulova Accutron was chosen by some of the “Original 7” astronauts for the first national manned journey into space. Above: The Bulova Accutron Calibrator. In another super-challenging plummet, Austrian extreme athlete Felix Baumgartner broke the speed of sound by reaching an estimated speed of 833.9 mph when he jumped from the stratosphere during the Mission Red Bull Stratos in 2012. This unbelievable feat made him the first man to break the speed of sound while in freefall. Also an extreme multitasker, Baumgartner collected data during the fall to improve scientific understanding of how the body copes with the extreme conditions near space. “Breaking the speed of sound in freefall is a pioneering effort, and being a pioneer requires risk,” stated Baumgartner before his jump. “This is the ultimate skydive.” Just like the NASA astronauts, he wore a Zenith Stratos Flyback Striking 10th strapped around his wrist on the outside of his spacesuit, making it the first watch to break the speed of sound in a near-space environment. As James Bond, Pierce Brosnan wore an Omega Seamaster. So does George Clooney, as himself. Rafael Nadal prefers Richard Mille. Leonardo DiCaprio has been spotted in a Tag Heuer Carrera Chronograph. Danica Patrick sports a Tissot T Race. Kanye West has been seen in a diamondencrusted, 18-karat yellow gold Tiret wristwatch with his own face on the dial. Cousteau cofounded, along with his sister, Alexandra, EarthEcho International, a nonprofit organization aimed at educating and empowering youth to take action to restore and protect the worldâ&#x20AC;&#x2122;s water. We are all connected cousteau, reporting from the arctic circle as a special correspondent for cnn. Today, Cousteau continues to crusade for ocean conservation, which you could call a family business. He follows in the footsteps of his explorer and filmmaker father, Philippe, Sr.; his worldrenowned grandfather, Jacques; his uncle, Jean-Michel; his sister, Alexandra; and, in particular, his mother, Jan, whom he considers the greatest influence in his life. “Growing up, my mom was always taking us on adventures, even in our local neighborhood, to recycle, to collect bags, to compost, to grow our own food,” says Cousteau, who grew up modestly between Los Angeles, Connecticut and Paris. This Cousteau is also less prone to the daredevil acts his grandfather, who’d been a French naval officer, pulled off while innovating scuba technology in the early 1940s. “They knew nothing about oxygen toxicity, and nitrogen and tables, and all this other stuff,” says Cousteau of the many hazards involved with underwater diving. “How they didn’t die, without knowing all this; it absolutely boggles the mind.” However, it was his father’s tragic death, which happened during an airplane accident six months before he was born, that had the most profound effect. IT’s a famIly affaIr Cousteau, diving along the Great Barrier reef, possible in part due to the innovations in scuba technology developed by his grandfather, Jacques Cousteau. THE BACKGROUND ON BEACHWEAR BASICS Throw down your suitcase, turn off your phone, and slip into something that immediately places you in vacation mode: beachwear. Rich in history and style choices, our list of beachwear staples have long been fashion essentials when the weather heats up. Romper Developed in early-1900s America as the evolution of the pinafore (an apron-style garment often worn over a dress), the romper was originally advertised as children’s play clothes. It became accepted as proper women’s wear in the early 1960s, when the garment was regularly worn by pin-up girls and film stars. The light, one-piece design of a romper makes it a popular choice for casual daywear or as a bathing suit cover-up on the beach. Adopted by high-fashion designers and often spotted on runways around the world, the romper has transitioned into accepted evening wear in materials like silk, cashmere and satin. Bikini The earliest versions of the bikini date back to ancient Greek and Roman times, when women athletes and dancers wore skimpy clothing while competing or performing. The modern version was designed in 1946 by Frenchman Louis Réard in an attempt to make the world’s smallest bathing suit, and is now worn by millions of women around the world. Réard named it after Bikini Atoll, part of the Republic of the marshall Islands, where the atomic bomb had been tested the summer before. He thought the revealing swimwear would shock people as the bombing had. Sarong The infinite versatility of the sarong makes it a warm-weather vacation must-have. easily worn as a swimsuit cover-up, a skirt or a belt, the sarong can also transition into a dress or as a wrap thrown over your shoulders on a chilly evening. Both men and women around the world wear sarongs, and the term is regionally specific. Known as a sarong in South Asia, a pareu in Polynesia and a lavalava in Samoa, the garment has varying histories and cultural significance across the globe. In areas of Southeast Asia, it is customary for men to wear sarongs only on Fridays while attending mosque. In Bali, many temples require visitors to wear sarongs; and in parts of the Arab Peninsula, men often wear sarongs while fishing. popular culture by appearing on the faces of film stars like Angelina Jolie and Brad Pitt, and musicians like Kanye West. The Wayfarer design was also developed by Bausch + Lomb. It first appeared in 1953 and today is an iconic piece of eyewear. Wayfarers’ lightweight, nonmetal frames were first popularized by James Dean and then resurrected in the 1980s by Tom Cruise’s character in Risky Business. It’s one of the biggest-selling styles of sunglasses globally. Jackie Kennedy Onassis forged new ground in the history of sunglasses with her oversize frames in the 1960s and 1970s. This feminine look became associated with Onassis’ elegance and class and has been copied millions of times over by women everywhere. Actor Tom Cruise resurrected the Wayfarer design in the 1980s film Risky Business. A versatile travel companion, wine is perfect for a leisurely afternoon at sea, a finely prepared evening meal or late-night fun with friends. A bottle of wine takes a journey from vineyard to glass and, once opened, begins to tell its tale. When the sun shines, a quenching wine is in order. Rosé is a celebrated daytime wine across the world. Predominantly made from red grapes, the grape juice spends as little time in contact with the skins as possible while in production: The more contact the juice has with the skins, the darker the juice becomes and the more powerful the flavors. Throughout history, rosé has been produced to be a refreshing drink and is served chilled. It pairs excellently with brunch foods; salads; and cheeses and meats, such as aged cheddars and prosciutto. Sparkling wines are the perfect pairing for a day outdoors—sun on your face and bubbles in your glass. Often a celebratory beverage, these wines are commonly sipped to commemorate special occasions. Though sparkling wines are often referred to as champagne, the correct nomenclature is dependent on the region of origin. Champagne can refer only to sparkling wines from the Champagne region of France. In recent years, both cava and prosecco—from Spain and Italy, respectively— have gained popularity and can be found at more reasonable prices than champagne. Like their bubbly cousin, they also range in flavor from sweet to dry. From tree to bottle, quality takes time. available in the Princess boutiques onboard on select shiPs. “When pairing wine with food, you can go for likeness of flavors or contrast,” Crawford explains when discussing the relationship between wine and food. “With the latter, you’re looking to highlight a flavor of one with the other, creating a point-counterpoint on the palate. If you’ve got fat on the plate, you want acid to cut through that fat.” With Super Tuscan wines, radical Italian winemakers successfully raised the level of sophistication of Italian wines. In modern culture, Italian wines are equated with chianti, a basic table wine. Crawford explains, “Chianti isn’t terrible, but Super Tuscans found a way to take Italian wine to the next level.” Super Tuscans combine cabernet, Sangiovese and other Italian varietals to create robust, complex flavors that complement hearty dinner cuisine. Swirl, Sniff, Sip Order a bottle of wine and you know what comes next: A server presents the bottle, uncorks it and pours a glass for someone at the table to taste. Here are three simple steps to master this quality-control check. Swirl Lightly swirl the wine in your glass without spilling it. This opens up the molecules by exposing them to oxygen and allowing the wine to breathe after an extended period in the bottle. The “legs” dripping down the sides of the glass indicate the density of the wine and often relate to high levels of alcohol and sugar, but they are not necessarily indicators of what flavors are to come. Sniff Let your nose linger over the glass and inhale. If you detect anything that resembles wet newspaper, old attic or damp metal pipes— the wine is corked and flawed beyond repair. Let your server know and have a replacement bottle sent to the table. Some wines can stand alone and do not necessarily need to be paired with food. Zinfandel is one varietal appropriate for cocktail hour or an after-dinner drink. With origins in both Italy (Primitivo) and Croatia (Crljenak Kastelanski), zinfandel epitomizes the beginnings of California winemaking. Early on, it was the state’s primary grape, thanks to its ability to grow in warmer climates with little maintenance. This is a wine that drinks well young, providing bold, fruit-forward notes and higher alcohol content similar to spirits. “The most important aspect of wine is to have an opinion,” Crawford stresses. Both white and red wines can range from easily drinkable to a bit more complex. Even when choosing a wine that is considered a good catchall, there will still be different perspectives. She reminds us that wine’s greatest appeal may lie in its subjectivity, inviting lively discussions, debate and endless discovery. Sip The important part of your first sip is to take it slowly. Let the wine gently roll over your tongue and along your palate. Your initial reaction may be completely different from what you smelled, and therein lies the beauty of wine: your personal journey with what is in the glass. flavors (blackberry, plum and warm spices, among others). Dedicated oenophiles will recognize it as the predominant and beloved grape of Napa, Northern California’s wine mecca. Award-Winning Rums & Authentic and Original Caribbean Rum Cake Baked in Grand Cayman, Barbados, Jamaica and the Bahamas. Available throughout the Caribbean. We ship worldwide. On Christie: Tommy Bahama dress and knit cardigan; Ray-Ban sunglasses; Swarovski earrings; Citizen watch; Ralph Lauren handbag. On John: Tommy Bahama shirt and shorts; Citizen watch. All available in the Princess Boutiques onboard on select ships. Ready, Set, Go! Forgot your workout gear? that’s no excuse this vacation! the onboard boutiques carry chic activewear for him and her to keep you sweating in style. group classes, the latest fitness equipment and personal training sessions are available to keep your motivation high and your torso toned. On Christie and John: Princess Cruises activewear; Skechers shoes. All available in the Princess Boutiques onboard on select ships. Look Good, Feel Great A flush of blush, a pretty lip, a clean Caribbean-inspired scent. The finest in fragrance and beauty is available onboard. Need help giving your look a refresh? Our expert five-minute makeovers will have you ready in a flash for an exciting night at sea. On Christie: Princess Cruises knit top. Available in the Princess Boutiques onboard on select ships. Leave nothing to chance when it comes to the latest in fashion and accessories. Shop at sea for fashionable looks that transition from laid-back afternoon cocktails to an evening of fun-filled thrills at the onboard casino. On Christie: Christine Alexander knit top and jacket; Swarovski earrings. On John: Tommy Bahama shirt; Citizen watch. All available in the Princess Boutiques onboard on select ships. “Best Onboard Shopping”: Porthole Magazine Readers’ Choice Award Winner for five consecutive years. Hair and makeup: Melissa Conner; Stylist: Pamela Jean. The soaring Piton Mountains in St. Lucia are found on the islandâ&#x20AC;&#x2122;s southwestern coast. St. Lucia Picturesque marigot Bay, located on the western coast of St. lucia, famously hosted a giant pink snail during the filming of the 1967 version of Dr. Dolittle. Rex Harrison starred in the title role, and the film was nominated for an Academy Award® for Best Picture, winning Oscars for both Best Original Song and Best Visual Effects. At the time of filming, the local children were suffering from a gastrointestinal illness caused by freshwater snails, so the locals did not welcome the giant snail prop or the crew with open arms. St lucia’s soaring Piton mountains can be seen in the first installment of the Pirates of the Caribbean movie franchise. After filming on the lush island, Johnny Depp often returned to vacation with his family in marigot Bay. Clockwise from top: Pirates of The Caribbean: The Curse of The Black Pearl, starring Johnny Depp and Keira Knightley, was shot throughout the Caribbean; Land’s End in Cabo San Lucas is one of the area’s noteworthy natural landmarks; the fortress of El Morro is considered a must-see for visitors to San Juan. Visitors to Tikal National Park love climbing Temple IV for the all-encompassing views of the ancient mayan ruins, but Star Wars fans from around the globe flock to the temple for a different reason. Tikal appears in Star Wars Episode IV: A New Hope as a rebel base for Han Solo’s spacecraft landing on the moon named Yavin 4. Director George lucas chose Tikal after he saw a poster for it in a travel agency. while filming in 1977, the crew positioned lights and heavy camera gear atop the 210-foot-high Temple IV using a pulley apparatus. They hired local guards to protect the equipment and are said to have paid them in six-packs of beer. Tikal can also be seen in the 1979 James Bond film Moonraker, starring Roger moore. The park was used as the exterior of Bond adversary Sir Hugo Drax’s headquarters. Cabo San Lucas The epic film Troy, starring Brad Pitt and Orlando Bloom, was shot on the beaches of Cabo Falso near Cabo San lucas. The great wall and gates of Troy were constructed on-site, and many of the area residents were employed as extras in the battle scenes. Not much of the set remains though, because soon after most filming was completed in 2003, Hurricane marty blew in and destroyed the set. The Sisterhood of the Traveling Pants, starring Blake lively, Amber Tamblyn and America Ferrera, was partly filmed just north of Cabo. Blake lively’s character attended a fictional summer camp in the area, and her onscreen time featured sweeping views of the nearby town of Todos Santos, the Pacific Ocean and the rugged mountainside. Old San Juan The pretty houses, the narrow winding, slopy cobbled streets, the plazas here and there, those wrought iron balcony rails and that smattering of colors - and I haven't even counted the historical places, lovely eateries, nice cafes, wonderful local vibe. You canâ&#x20AC;&#x2122;t miss Old San Juan, and once you are there and back, YOU CANNOT STOP MISSING IT :) Live your own ď&#x192;&#x17E;ve star vacation story. Become a Savvy Traveler. For only $25, this value package includes over $2,000 in deals from our guaranteed shops ashore. Whether youâ&#x20AC;&#x2122;re looking for luxury items or souvenirs for family and friends, the Savvy Traveler is your must-have for shopping in our ports of call. See your Princess Shopping Host to purchase your very own Savvy Traveler. Bond in Die Another Day (2002) with his favorite drink, a martini; Ernest Hemingway, at his typewriter at age 40, preferred mojitos and daiquiris. Vodka’s origins are highly disputed, with some accounts giving credit to Russia, and others attributing its first distillation to Poland. It was often used as a medicinal cure-all in Europe in the 15th century. Ian Fleming’s James Bond series and its dapper leading man revolutionized the definition of a martini when the secret agent asked for it to be made with vodka and dry vermouth, instead of the standard at the time of gin and vermouth. And of course, it was shaken, not stirred. Because of this, 007 is said to have influenced vodka’s incredible rise in popularity. By the late 1960s, vodka was outselling gin in the United States, and less than 10 years later, surpassing whiskey. writer, wrote nearly as often as he enjoyed a solid rum drink. He would invite friends to visit him in Cuba and partake in drinking his favorite spirit. He’s most famous for drinking mojitos at La Bodeguita del Medio and indulging in daiquiris at La Florida bar, or as he called it “El Floridita.” To truly channel Hemingway, sit down with a Papa Doble, his take on the daiquiri; he claimed to have knocked back 16 in one night. Cheers to Americana with a glass of bourbon, “the Official Spirit of America.” Yes, Lyndon B. Johnson actually gave bourbon the presidential stamp in 1964 when he signed an act of Congress that stated the spirit is a distinctive product identifiable with the United States. Nobel Prize-winning author William Faulkner has long perplexed many readers with his lengthy, complex writing. When asked about his writing style, he apparently said, “I usually write at night. I always keep my whiskey within reach; so many ideas that I can’t remember in the morning pop into my head.” His favorite: mint juleps made with mint, simple syrup and bourbon. PAPA DobLE 2 ounces white rum 1 ounce fresh lime juice 1/2 ounce fresh grapefruit juice 1/4 ounce maraschino liqueur 1 1/2 to 2 cups shaved ice Combine ingredients in a blender and frappe until the drink is foaming. Serve in a large cocktail glass, champagne saucer or goblet. See your shopping expert for more information. Theodor Geisel began writing under the pseudonym Dr. Seuss after being removed from his college paper for possessing bootleg gin. spirit and claimed it was undetectable on his breath. Story has it that one evening, Fitzgerald and his wife, Zelda, showed up to a party in their pajamas (the invitation said “come as you are”) and went on to enjoy quite a few gin rickeys. Theodor Geisel can also thank gin for granting him a household name. After getting caught with some bootleg gin, which resulted in a stern removal from his college magazine in the spring of 1925, he began writing under a pseudonym so he could still submit work. Without gin, dr. Seuss would be, well, Theo. enjoying the tasty rewards, now as 1911 Vodka. The production of 1911 Vodka is smallbatch, meaning that only a limited number of bottles are produced each year. Every step of the process is controlled in-house from tree to bottle, beginning with the planting of the trees to the distillation that is done on-site, and finally the bottling of the vodka done by hand. The final product doesn’t taste sweet or fruity despite being made from apples, and instead has a clean, smooth taste that is perfect when served chilled and sipped straight or mixed in a refreshing cocktail. Whatever your whiskey drink of choice, allow time for the whiskey to set (rest after being poured), and you will find the flavors open up. Evalyn Walsh McLean wears the Hope Diamond (necklace) in a photograph from 1914. The diamond was a wedding present from her husband, Edward Ned McLean, owner of The Washington Post from 1916 until 1933. Celebrity SparklerS Victoria Beckham wears her pinkdiamond ring proudly. It was a gift from husband David Beckham. Carrie Underwood bucked the pink-diamond engagement ring trend with a platinum and yellowdiamond ring. halle Berry’s pumpkin-colored diamond ring sparkled as much as her Oscar at the 2002 Academy Awards. Mariah Carey also prefers pink as she rocks a diamond ring with 58 pink diamonds surrounding an emerald-cut white diamond. Jennifer Lopez famously displayed her pink-diamond engagement ring from former fiancé Ben Affleck. debts. This, along with illness, accidents, adultery and other tragedies falling upon the McLean family, like the many owners before, solidified the “curse” of the Hope Diamond. Today, that same “cursed” diamond found by Tavernier and worn by kings can be viewed in the Smithsonian National Museum of Natural History. Some of the most magnificent gems today date back to Tavernier’s time. But only recently has the value of colored diamonds skyrocketed, as their rarity has been better understood and their appeal magnified by appearing on celebrities like Victoria Beckham, Mariah Carey and Jennifer Lopez. Many are on display in museums and traveling exhibits all over the world, making the glamour and mystery of these famous stones accessible to all. Mined in India, it was once owned by the Mughal emperors. It is currently part of the Iranian Crown Jewels and is set with 457 smaller diamonds and four rubies. chOparD chamElEON 31.31-carat diamond (size of a strawberry) Swiss jeweler Chopard purchased the world’s largest chameleon diamond in 2007. Chameleon diamonds change color when exposed to light or heat: This diamond goes from green in bright light to yellow in darkness or at high temperatures. The allegedly cursed 67.5-carat Black Orlov diamond, also known as The Eye of Brahma, was on display for the first time in Britain at the Natural History Museum in London as part of the “Diamonds” exhibition. For many of the world’s top athletes, that passion is put to the test at the olympic Games as they go for gold in sports to which they’ve dedicated their whole lives. the athletes shown here all managed race-winning times in the face of enormous pressure during the last seconds of their biggest races. at the 2012 summer olympics in London, swimmer Michael Phelps became the most decorated olympian of all time with a total of 22 medals; 18 of them were gold. in one of his last races, the 4x200-meter freestyle relay, Phelps swam the final leg for the United states. it was the team’s fastest, leading them to a 3.07-second win over France. Phelps retired from racing after taking the record for the most first-place finishes at any single olympic Games. Fanny Blankers-koen was a 30-year-old mother of two from the netherlands when she competed in the 1948 London Games in track & field. World War ii had resulted in the cancellation of the 1940 and 1944 olympic Games, but her desire to compete continued despite the long wait. she set several world records in events, including the long jump, sprint and hurdles; she won the inaugural 200-meter sprint for women in 24.4 seconds, seven-tenths of a second ahead of the runner-up. she captured four gold medals, the most by any woman in a single olympics, and returned to amsterdam as a national hero. Her olympic victories have been credited with helping end the stereotypes of age and motherhood as barriers to success in women’s sport. at the 1980 Lake Placid Winter olympics, american speed skater eric Heiden dominated the field. His first race, the 500 meters, was considered his weak spot. He narrowly beat soviet favorite yevgeny kulikov by .34 seconds, setting his first olympic record. among his four olympic records that year, one was a world record. Herculean Heiden became the first olympian to win five individual gold medals in a single olympics. “the austrian astronaut” was the downhill skiing favorite entering the 1976 Winter olympics after winning eight of nine World cup races in 1975. in the downhill race, defending champion Bernhard russi of switzerland was holding first place. the course was icy and treacherous by the time klammer took his turn. With adrenaline rushing through his veins, and showing reckless disregard for his own safety, klammer flew down the hill, missing disaster at every turn. His audacious and thrilling performance won him the gold medal, finishing .33 seconds ahead of russi. MaKeup artist Melissa Conner has seen famous faces like Alicia Keys, George Clooney and Cher sans makeup: She and her makeup brushes are no strangers to red-carpet events like the Oscars, the MTV Video Music Awards and the Country Music Association Awards. Here she shares her top travel beauty tips for looking great and keeping it fuss-free while at sea. Hydrating facials are great before a sun-soaked vacation, but steer clear of laser treatments and peels to avoid sun damage or hyperpigmentation (dark spots on skin). Ask for advice from your dermatologist, who knows your skin’s history. Book an appointment with your stylist a week ahead for a trim. If you have highlights, bring a leave-in conditioner or a UV spray to protect your hair from chlorine and the sun. color with a matte rose-colored cream blush and a tinted lip balm. For night, a creamy coral for lip and cheeks works on most skin tones. A bronzy eye always looks great for summer with waterproof gel eyeliner and mascara. For hair, keep it simple. Loose, natural beach waves are the way to go. Manicures and pedicures may start to fade and look messy mid-week; book an appointment at the onboard salon for a quick polish change, or relax with a full-service manicure and pedicure during one of your sea days. After days of sun, fun and exploring, it’s time to relax; I like to spend the last day of cruising at the ship’s spa indulging in a massage or body scrub. Once back home, enjoy a detox facial to rehydrate your skin after all that drying sun and sea, the sugary tropical drinks and decadent treats. Use a clarifying shampoo, followed by a deep-conditioning hair mask to smooth away the excesses of your trip. earth elements to bring you closer to all the colors of nature. Seeing more shades of blue leaves you feeling calm and peaceful. HavE yOu EvEr walked by someone and been instantly struck by a bright orange-blossom scent or the warm aromas of spice and vanilla? Maybe it reminded you of a vacation you took years ago or a favorite childhood dessert. Well, that memoryinducing scent has its own backstory. Much like striking the right balance of ingredients in a recipe, creating a perfume involves precise testing and blending of natural elements like flowers, oils and spices. Perfumers, the people who create and perfect scents for the mass market, begin with ideas and inspiration; but they need chemistry and biology to find the balance that makes “scents.” For the director of sensory for a global leader in the fragrance and flavor industry, perfume development is an art and a science. As both a passionate scientist and scent connoisseur, she feels that understanding the ingredients and their aromas together with how they can be combined is an amazing process. down the Nile River in an old wooden motorboat to find the green mango, incense and grapefruit notes used in Un Jardin Sur Le Nil. The fresh smell of the Nile that was re-created in the laboratory was then blended with a fine-tuned combination of wood, magnolia, lotus and carrot. Because consumers buy perfumes based on the way they smell on those thin paper strips, perfumers test on both paper and skin. A fragrance may work well on paper, but once the elements grace the skin, dramatic changes can occur: Scents often clash with a body’s natural chemistry, oil and smell. Perfumers test and re-test, adjusting measurements to make sure a scent is pleasant on both paper and skin and that it has longevity. FRAGRANT GETAWAY For an easy Caribbean escape, look for perfumes that include gardenia, coconut, vanilla or frangipani. A few to try: Lavanila’s Fresh Vanilla Lemon Fragrance, Bulgari’s Omnia Coral and Escada’s Island Kiss. Clockwise from top left: Fendi Crazy Carats Precious Pavé watch; SaFi Kilima Tanzanite studs; ForevermarK Eternal pendant; Chopard Happy Sport watch; GUCCi Horsebit cocktail ring; heartS on Fire studs. Beyoncé adds sparkling sophistication to her look with striking pieces that are chic and elegant. Beyoncé is anything but boring. Get her look with bold, statement-making jewelry. Clockwise from top left: LUCKY CLOVER necklace; KORITE Solara pendant; KABANA Elements Collection bracelet; BULOVA Diamond Collection watch; GUCCI Horsebit earrings in yellow gold; ALEx ANd ANI mixedcharms bracelets. From left: Feather embroidery at work; detail of a Christian Dior SS2013 Haute Couture dress; Daisy Fellowes at the Beistegui ball in a gown by Christian Dior; laying of the feathers on the oscillating weight; Christian Dior in disguise as the King of Animals. Dior Viii GranD Bal “Plume” in pink gold and ceramic set with baguette-cut diamonds. The watch features an openwork oscillating weight intricately elaborated with a petticoat of feathers embroidered with gold and diamonds. Limited edition of 88 pieces. This is the lifestyle magazine for Princess Cruises ships.